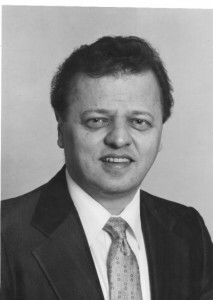 George T. Sidiropolis was born in Baltimore. Maryland and moved to West Virginia at an early age. By the age of 20, George became the youngest Executive Director of Public Housing in the nation. After serving 25 years in this capacity, he was appointed Commissioner of the Division of Motor Vehicles for the State of West Virginia by Governor Gaston Caperton. Over the course of his career as a civil servant he worked closely with five governors. Specifically, he served as Assistant to the Secretary for the Department of Transportation, Senior Aide to the Governor, Member of the State Parole Board and Chairman of the State Racing Commission. He is a graduate of West Liberty University. He and his wife Donna are the parents of two children, George Nico and David Alexander and guardian of their nephew, Mark Thomas Sidiropolis.